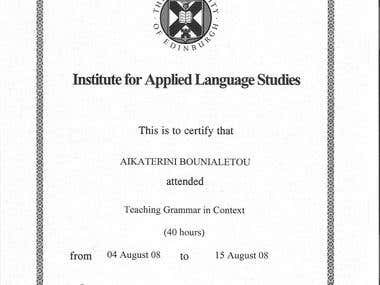 I am a native Greek speaker but I have lived in various parts of the UK over the years. For me translating is more than a job, it is in itself an act of creation. 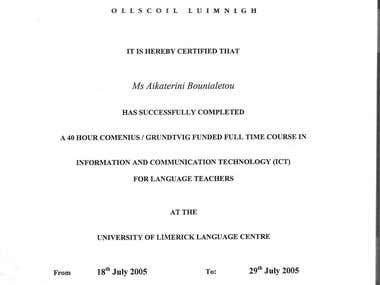 I have a BA in English Literature from the University of Athens and a Master's in Bilingualism and the teaching of Greek as a Second/Foreign language. I am also highly computer literate. 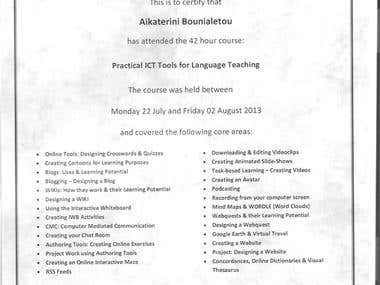 Should you require more information, or to receive a copy of my CV please e-mail me.
" Εκπαίδευση και εκπαιδευτική πολιτική μεταξύ κράτους και αγοράς"